A Magnetic Resonance Imaging (MRI) scan of the Chest is a radiology procedure used to screen for various conditions of the digestive system, lungs, to detect tumors in the chest, etc. A Magnetic Resonance Imaging (MRI) - Chest is used to screen for various conditions of the digestive system, lungs, to detect tumors in the chest, etc. An MRI Chest scan is performed on the chest area. Why is the Magnetic Resonance Imaging (MRI) scan of the Chest radiology procedure Performed? What is the Cost of performing the Magnetic Resonance Imaging (MRI) scan of the Chest radiology procedure? The cost of Magnetic Resonance Imaging - Chest depends on a variety of factors, such as the type of your health insurance, annual deductibles, co-pay requirements, out-of-network and in-network of your healthcare providers and healthcare facilities. How does the Magnetic Resonance Imaging (MRI) scan of the Chest radiology procedure work? How is the Magnetic Resonance Imaging (MRI) scan of the Chest radiology procedure Performed? The Chest MRI is performed as either an inpatient or as an outpatient procedure, at a hospital. The Chest MRI is usually performed by a radiology technologist, under the supervision of a radiologist. The MRI Chest Scan procedure usually takes about 30-60 minutes. A radiologist will analyze the images and inform the primary care physician, who will then inform the patient. A physician will request your consent for an MRI Chest scan procedure using an Informed Consent Form. What are the Limitations of the Magnetic Resonance (MRI) scan of the Chest radiology procedure? 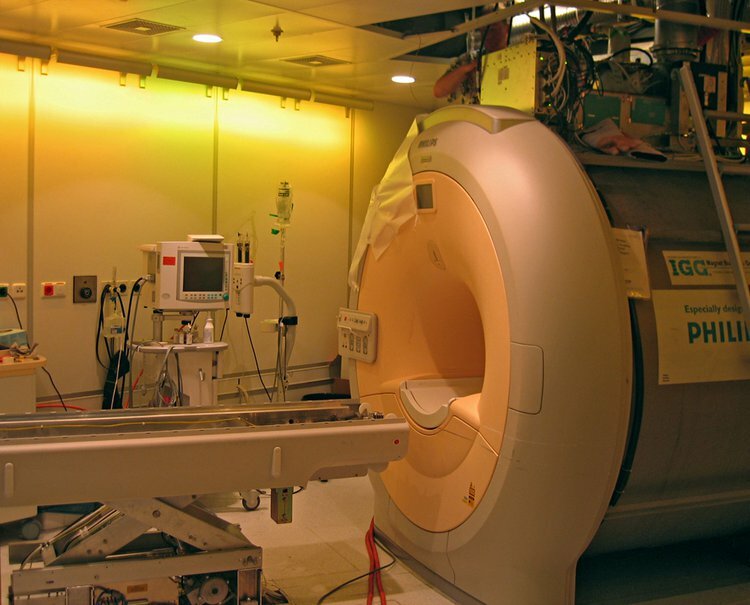 There are two types of MRI scanning machines; one is a closed MRI scan machine, the other is an open MRI scan machine. What is the Magnetic Resonance Imaging - Chest procedure? What is to be expected during the Magnetic Resonance Imaging (MRI) scan of the Chest radiology procedure? No anesthesia is administered during the Magnetic Resonance Imaging (MRI) - Chest Scan procedure. There is no blood loss involved, during the Magnetic Resonance Imaging (MRI) - Chest Scan procedure. What are the possible Risks and Complications during the Magnetic Resonance (MRI) scan of the Chest radiology Procedure? What Post-Operative Care is needed at the Healthcare Facility after the Magnetic Resonance (MRI) scan of the Chest radiology procedure? What is to be expected after the Magnetic Resonance (MRI) scan of the Chest radiology procedure? If the patient is experiencing an allergic reaction from the contrast reaction, contact the physician. What Post-Operative Care is needed at Home after the Magnetic Resonance (MRI) scan of the Chest radiology procedure? There is no post-operative care required at home, after the MRI Chest Scan. The patient needs no recovery time after the MRI Chest scan. No tissue is extracted from the patient during a Magnetic Resonance Imaging Chest Scan procedure. Who will you receive a Bill from, after the Magnetic Resonance (MRI) scan of the Chest radiology procedure? The patient is advised to inquire and confirm the type of billing, before the Magnetic Resonance Imaging (MRI) - Chest procedure is performed.